Houston is fortunate enough to feature one of the nation's richest and most developed museum populations. 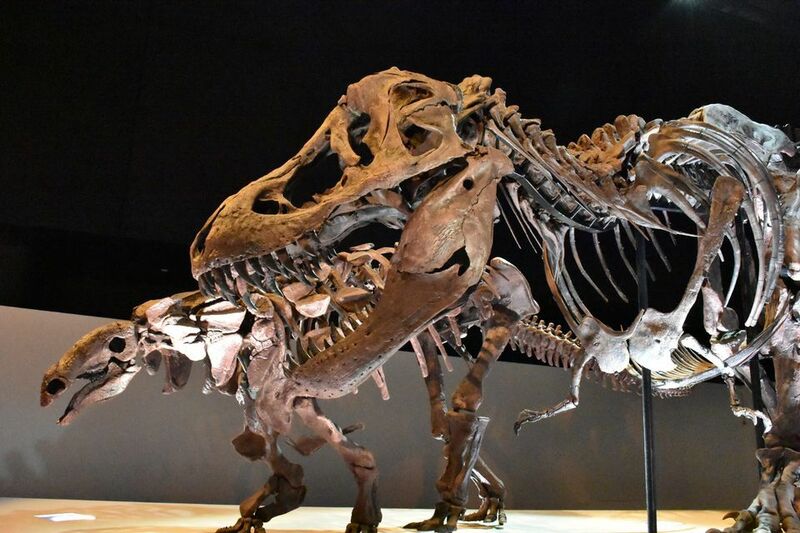 In the Museum District alone there are nearly 20 different venues, and any listing of the city's must-see museums is sure to start with the impressive Museum of Natural Science. Founded in 1909 by the Houston Museum and Scientific Society, Houston Museum of Natural Science has grown to be one of the most attended museums in the country, averaging more than two million visitors per year. In addition to the many traveling exhibits hosted by HMNS, the four-floored building has thirteen permanent exhibits, which range from paleontology to space science to archaeology to a children’s discovery place. Special features of the museum include the Burke Baker Planetarium, Cockrell Butterfly Center, George Observatory, and IMAX Theater. For its size, the Children's Museum of Houston is the most frequented museum of its kind in the country. The museum includes a dozen highly interactive exhibits, such as the FlowWorks water system and Kidtroplis — a child-sized city, complete with skyscrapers, city government and professions. Upstairs, infants and toddlers up to age 35 months can explore the Tot Spot, which houses toys and structures with the youngest kids in mind. Constantly changing activity stations are set up throughout the museum mean there is always something new to discover. Space Center Houston is the official visitor’s center for the Lyndon B. Johnson Space Center (NASA). Attractions include the Northrop Grumman IMAX Theater, and Martian Matrix, a kid’s play area for pre-K through 5th graders. There are also space artifacts and hardware on site, most notably the Mercury 9 Capsule, Lunar Rover Vehicle Trainer and the SkyLab Trainer Mock-up. Despite the advanced technology featured throughout the museum, it is still kid-friendly and accessible to a wide range of ages and interests. Tram tours take visitors to see iconic spaces within the center, including NASA's mission control, the Saturn V rocket, and an overhead view of engineers, scientists and astronauts working on the latest advances of space technology. Opened in 1996, Holocaust Museum Houston is the fourth largest such museum in the nation. One of the more impactful museums in the district, it includes personal stories of the Holocaust in the form of the Bearing Witness exhibit, which focuses on the stories of Holocaust survivors living in the Houston area. Other exhibits include an actual World War II Railcar — “used to carry millions of Jews to their death” — the Danish Rescue Boat, and a rotating gallery of photos and art in the museum’s two galleries. A staple of Houston’s alternative art scene, the Art Car Museum is a private museum of contemporary art. It opened in 1998 and has since established itself as a local claim to fame. It features, among other things, obscurely designed cars and hosts an annual Art Car Parade. Best of all, this museum is always free. The stainless steel building that now houses the Contemporary Arts Museum Houston opened in 1972, but it first began as a traveling exhibit around town. As a contemporary museum, CAMH is “dedicated to presenting the art of our time to the local, regional, national and international public.” Exhibits rotate mostly, but educational programs designed to increase awareness among its patrons are permanent. Access to CAMH is always free. Steeped in Texas history, the San Jacinto Monument and Museum of History are actually one and the same, as the museum is located in the base of the monument — which, at 570 feet, is the world's tallest. The museum features exhibits with a tie to Texas’ past, as the rotating line-up of attractions includes Developing Houston, a photographic chronicle of Houston’s timeline, the Holiday Lobby Exhibit, which features seasonal toys/ornaments/trinkets of yesteryear, and the Texas Navy Exhibit. A bonafide Houston landmark, the Houston Fire Museum is housed in what was formerly the first paid Fire Station for the city. To supplement HFM’s growing online catalog of photographs and videos, you can see exhibits that include a 1937 Chevrolet Pumper; the Hopkins Collection, which is a rotating display of antique firefighting artifacts; and the Watch Office, a restored call room that allows visitors to simulate what it was like to receive a fire call in the 1950s. Opened in 1969 following a successful Victory Over Polio campaign, tThe Houston Health Museum has thrived as one of the city’s most hands-on museums, and now plays host to more than 180,000 visitors annually. Highlights of the museum include You: The Exhibit, which features a body scanner that allows you to see your insides in real time; the Amazing Body Pavilion, which is quite literally a walking tour of a gigantic model of a human body; and the McGovern 4-D Theater, a cinema watching experience that makes use of its 4-D billing with in-theater wind, rain and scents. In its totality, the Museum of Fine Arts is the fifth largest museum in the country. It spans some 300,000 square feet of exhibition space over seven different facilities, including the Caroline Wiess Law Building, Glassell School of Art, and Bayou Bend Collections and Gardens, former home of famed Texas philanthropist Ima Hogg (donated by her in 1957). Founded in 1924, MFAH was the first art museum building in Texas; now it serves more than 1.25 million people per year. The permanent collection of the museum features more than 40,000 pieces or work from six different continents, and special exhibitions are frequently on display.